Wayne has over 25 years of experience in programming and architecting applications, project management, and 25 years of graphic and multimedia design experience. 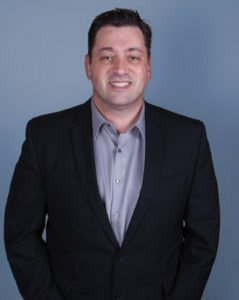 As CTO he has a track record of developing and implementing cutting edge solutions for complex problems in the medical, real estate, printing, and entertainment industries. For the medical industry, companies Wayne has worked with include ePhysicians, Dispensing Solutions Inc., Drug Enforcement Agency and Rx Medical. In the real estate industry he has developed technology for Strada Properties, Coldwell Banker, Prudential and several others. Entertainment clients of Wayne include Universal Studios, NBC, Tvt records, Priority Records, and many others. Wayne has been awarded 35 platinum album awards for his work on the design and implementation of campaigns. At CiT he designed and deployed a SaaS marketing automation platform that takes professionally designed layouts and automatically merges it with variable data. The solution then automatically sends the file to one of many printers throughout the United States and Canada to be printed. It also sends the marketing materials to digital channels such as Facebook, Twitter, websites, email and Text messaging. Currently Servicing over 10,000 paid subscribers.